The Italian supplier details how to differentiate the five compounds that will be used in the pre-season tests. 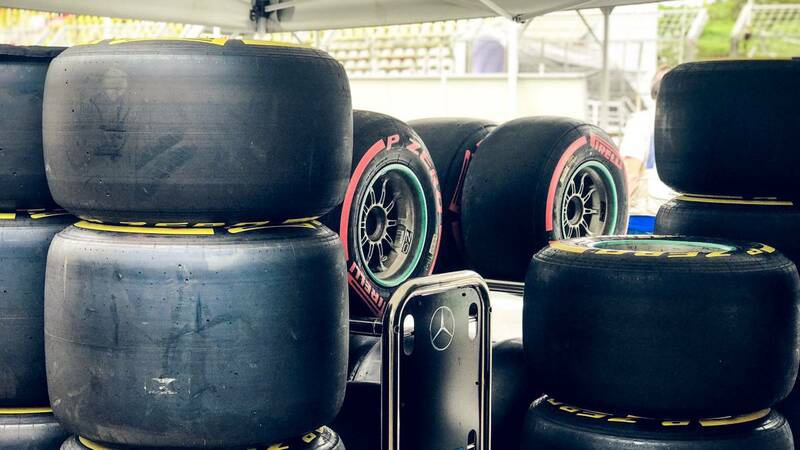 After years adding increasingly complex compounds, colors and nomenclatures, Pirelli realized the mess he had set up with his tires and how complicated it was to read the races for the average spectator and chose to simplify things from this season . Thus, there will only be three types of compounds in each grand prize: soft (red), medium (yellow) and hard (white). However, for the tests that start in Barcelona within two weeks (18-F) it will not be like that. The five names that will be used during the year (from C1 to C5 according to their hardness) will be tested on the track and each one will be debidamente diferenciada. They will be the same three colors to which the new range has been reduced, but the lines will be used to distinguish them all. In this way, the wheel scale would be: C1, the hardest, white and without lines; C2, white; C3, yellow; C4, red; and C5, the softest, red and without lines. That will be the way to know what compound each driver has in each moment. "We will only see three colors in each race, so we will only use three colors in the tests . But we want to make sure that people can differentiate the compounds.As a result, the harder and softer tires will not be marked with stripes: only the colors will vary.This will also be the case for the tests that are carried out during the season ", explains Mario Isola, chief of Pirelli. The eight test days will not only be useful to test the mechanics of the cars, but also to know and get acquainted with the new tires.